The ideal speedboat to explore the Dubrovnik archipelago. Go swimming, snorkelling, explore the islands or simply relax on board. 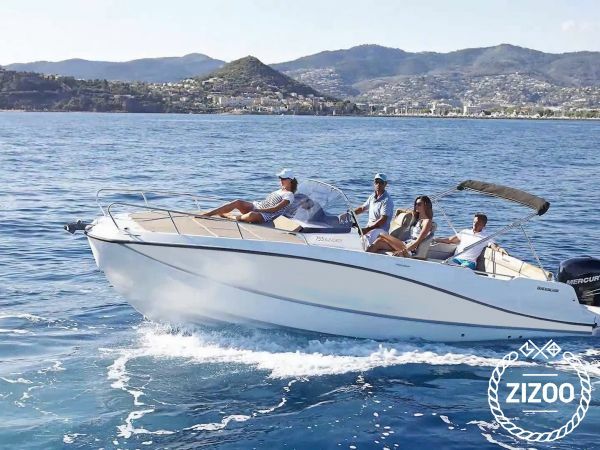 Go at your own pace with our experienced skipper on hand to provide advice and recommendations on great swimming spots, explore sea caves, relax in secluded coves and enjoy amazing waterfront restaurants. You have everything on board to make your day unforgettable. Included in all prices are return transfers between accomodation and boat, water and soft drinks. Fuel charges to be paid on board. Fuel amount depends on locations visited. Daily rate is for Elaphite islands (Lopud, Kolocep, Sipan). Surcharge applies for further locations.